You thought that Singapore is the only country that is capable of harnessing technology to create a sophisticated and smart city? In my previous article, we have seen some great initiatives in Malaysia (Cyberjaya) and Indonesia (Jakarta Smart City Lounge). 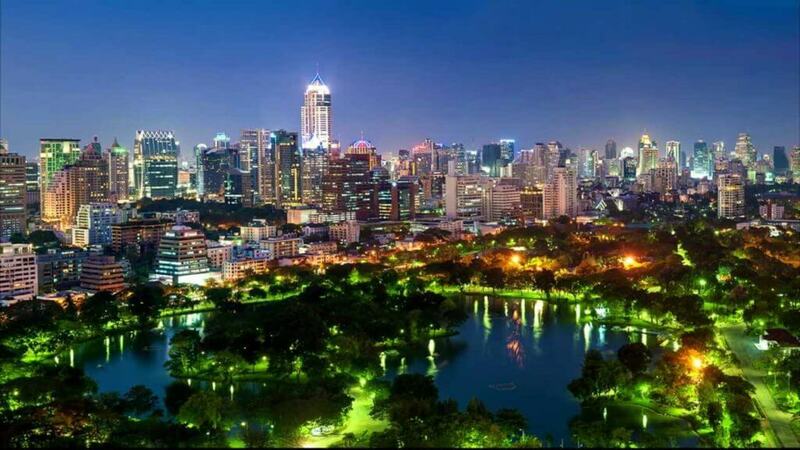 ASEAN remains to be ambitious in realizing its smart cities. Here, we look at the smart city initiatives in Philippines, Thailand, and Vietnam. With the influx of Filipinos migrating into the cities due to the rapid changes in economic opportunities that many major cities in the Philippines offer, the obsolete infrastructure in these cities have been struggling to keep up with this growth in urban population, resulting in urban decay, severe pollution and overpopulation within the cities. For instance, 37% of over 12 million registered residents in Manila live in slums throughout the city. A collaboration between Davao City, the biggest city in the Philippines, and IBM Philippines is the first smart city development that relies on technology to address issues of public safety. In 2013, Davao City implemented IBM’s Intelligent Operations Centre (IOC) solution as an additional support for its existing Public Safety and Security Command Centre (PSSCC), utilizing IBM technology, such as video analytics software, multi-channel unified communication, and GPS location tracking. Today, the IOC allows various government agencies, including the police, fire, anti-terrorism task force, and the K9 urban search and rescue services, to monitor operations in the city in real time and respond more quickly and efficiently to emergencies. As a country suffering from the damage of numerous natural disasters from typhoons to volcano eruptions, Philippines have also adopted Smart City technology to improve disaster management and minimize damages from such natural disasters. Project NOAH was launched in 2012 as the Philippines’ key disaster risk reduction and management system, and has won an IDC award for the top smart city initiative in public safety at IDC’s Smart City Asia Pacific awards (SCAPA). Information, such as real-time weather data and high-resolution flood, landslide, and storm surge hazard maps, are collected on online platforms to help the relevant bodies to identify the occurrence and severity of the disaster and respond more rapidly. With aims to transform Thailand into a digital economy and digital hub of ASEAN, the Thai Information and Communication Technology Ministry is looking to develop Phuket and Chiang Mai into smart cities as pilot projects due to their technology readiness, location and international ties. 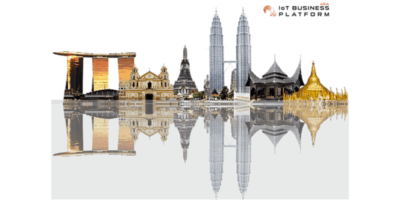 According to Thailand’s Software Industry Development Agency (SIPA) which is also managing the Phuket project, the Phuket smart city pilot project will focus on digital infrastructure development, the construction of a data centre and the enhancement of the city’s tourism industry through the use of sensors and analytics. In addition to the two pilot projects, the ministry has identified the formulation of a solid digital economy master plan as their first task, which will consist of 5 main domain missions – hard infrastructure, soft infrastructure, service infrastructure, digital economy promotion, and a digital society. The second task will involve other ministries in developing and delivering pilot projects across areas like e-commerce, e-education, e-industry, and e-government. For instance, the ministry would work with the Commerce ministry to create an e-commerce platform to help businesses, especially small and medium sized enterprises (SMEs) and those in agriculture, to go online. To address the aging population in Thailand, Saensuk Smart City project was recently launched in 2016 in the Saensuk Municipality in Thailand, where 15% of the residents are aging citizens and most of them live at home alone during the day with minimal supervision or in nursing facilities. Collaborating with technology partners Dell, Intel and the IoT City Innovation Center (ICIC), a small Bluetooth-enabled smart device is distributed to all elderly patients to monitor the health condition of the patients, with the data collected and analysed by intelligent Intel-based gateway systems to provide insights to the municipal nursing headquarters cloud system. Healthcare practitioners and family members are also notified in instances of emergency or unusual activity or when the panic button is activated, allowing for a more efficient use of the limited human resource while providing more efficient and swift responses during emergencies. The Vietnamese government has been extremely supportive and encouraging with its numerous efforts to promote its municipalities towards becoming smart cities in recent years, in order to address various socioeconomic issues such as traffic congestion, environmental pollution, and energy conservation. This has led to a smart cities race in Vietnam with several smart cities projects and initiatives being developed simultaneously to become Vietnam’s first smart cities. Da Nang aims to be the first smart city of Vietnam by 2025, and has collaborated with IBM in their “IBM Smarter Cities” program to develop smart city infrastructure to address issues such as air control, water management, waste management, energy, and disaster warning. As one of the latest cities to join on the bandwagon, Vietnam’s commercial capital Ho Chi Minh have developed plans for a new smart city program with these main components: smart services such as education, healthcare and traffic; enhanced citizen participation in city life; and a common database plan. This is in addition to an earlier collaboration between ETN Singapore and the Ho Chi Minh City’s People’s Committee to provide free public WiFi for the city with Altai’s Super WiFi Solution. In line with the nation’s vision to turn Phu Quoc into a Special Economic Zone (SEZ) in 2010, the local government has also been working closely with Vietnam Post and Telecommunications Group (VNPT) to strengthen the network infrastructure by building a data centre and smart services, with the high-speed 4G network already successfully trialed on the island. In Hanoi, the capital of Vietnam, an investment of USD 3 billion was planned for smart city developments in 2012 with a focus on transportation, healthcare, education, environment and urban development. Efforts to transform the city into a smart city have continued with public schools being equipped with Internet connection and trials for an Intelligent Transport System taking place. Smart cities are not just a fancy word that governments and other stakeholders can be proud of. Smart cities mean much more to the people than just automatic public feedback and lesser road congestion. Smart cities make public services smarter for the benefit of the larger local population so that they can experience a better standard of living in the city. As these cities continue to experience an influx of migrants from the rural areas, more needs to be done to support not only the growing population, but the pressure placed on public infrastructure too. ASEAN Smart City Projects will be discussed in Singapore on 14 February 2017, with speakers from Land Authority Singapore, Da Nang Department of Infocomm, Iskandar Regional Development Authority, Metro Cebu Development & Coordinating Board. If you're interested to know more about the agenda, get in touch at zaidani@industry-platform.com.